Let’s stop this one before it gets started: Becky Lynch doesn’t need the typical McMahon Bump. McMahon Bump, meaning reaching the top of the mountain and being rewarded by having an encounter with someone like Stephanie McMahon after playing out yet another tired hero vs. authority angle. Because, as of right now, it seems WWE might be headed in this direction. 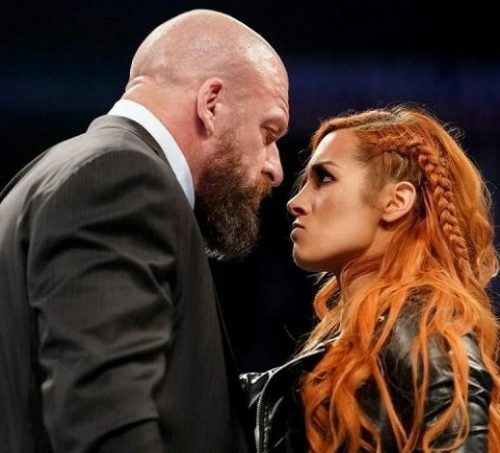 While the attention is lasered in on Lynch against Ronda Rousey in what deserves to be the first-ever women’s main event of WrestleMania, the company might have its eye on the long game. According to Wrestling Observer Newsletter (h/t Randall Ortman of Cageside Seats), WWE is flirting with the idea of The Irish Lass Kicker against McMahon at SummerSlam.